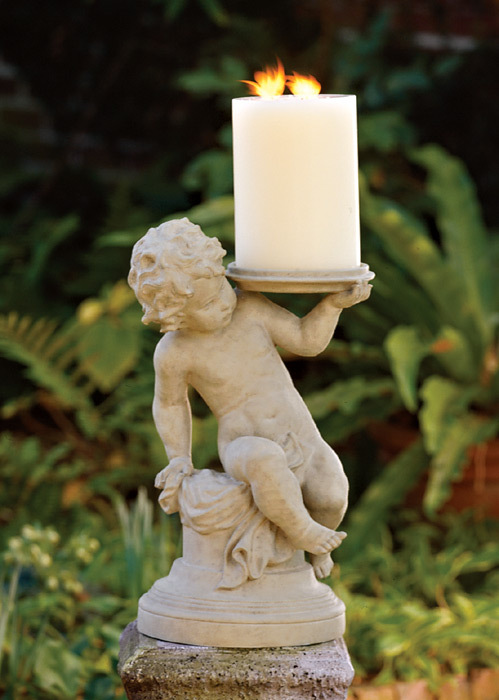 Shown with a pillar candle, our cherub can also hold a 5.5" pot of blooming color or greenery. For years of pleasure, use the resin cherub in a covered area such as a porch or verandah. Please note: the candle is no longer available. 12"W X 10"D X 20"H; 7.75 lbs.